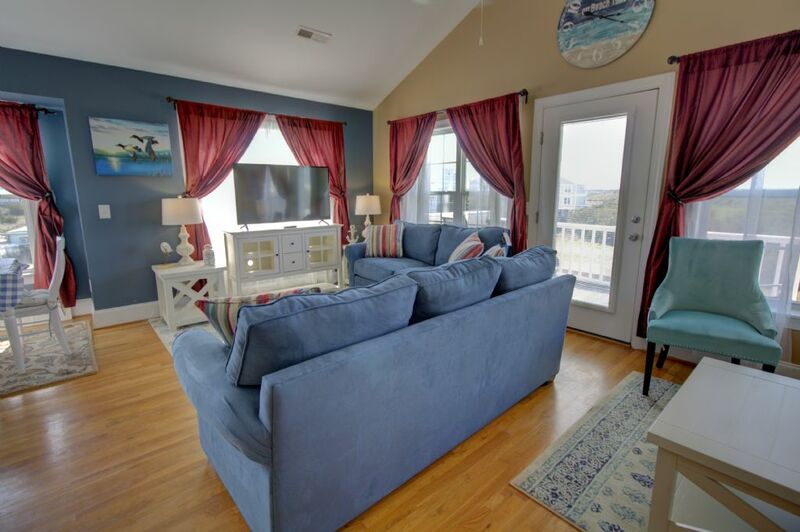 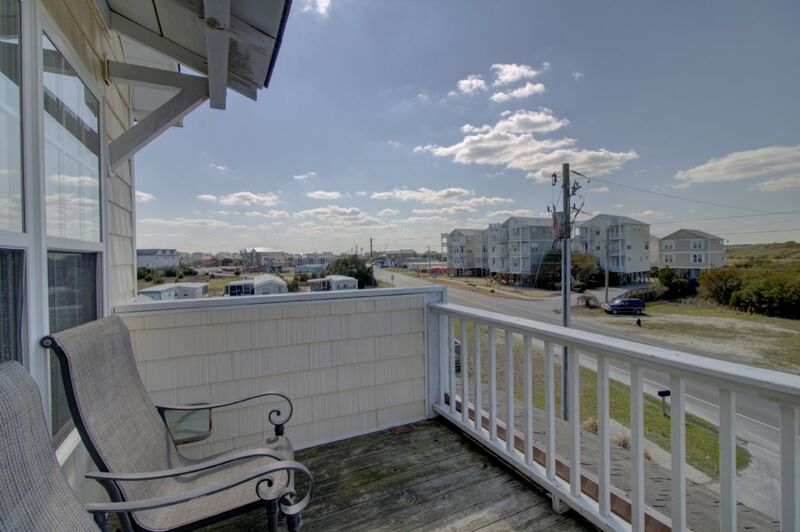 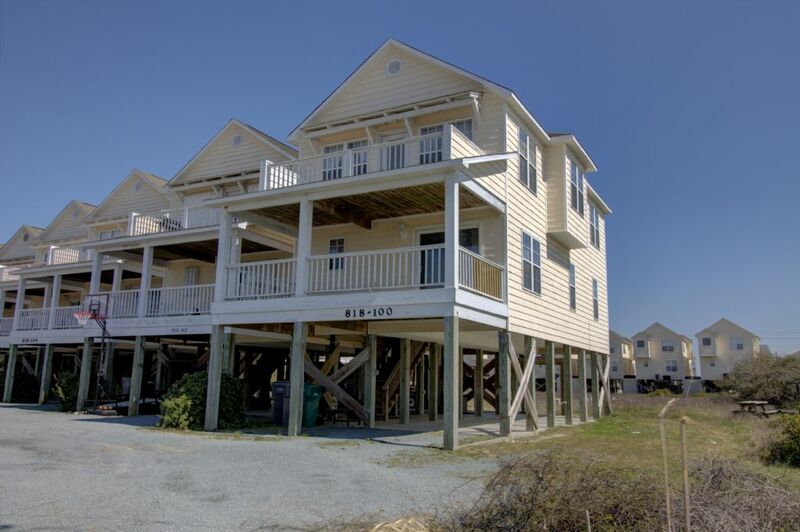 Center your life around all things beach at "The Salt Life," a beautifully decorated four bedroom, three and a half bath end unit townhome. 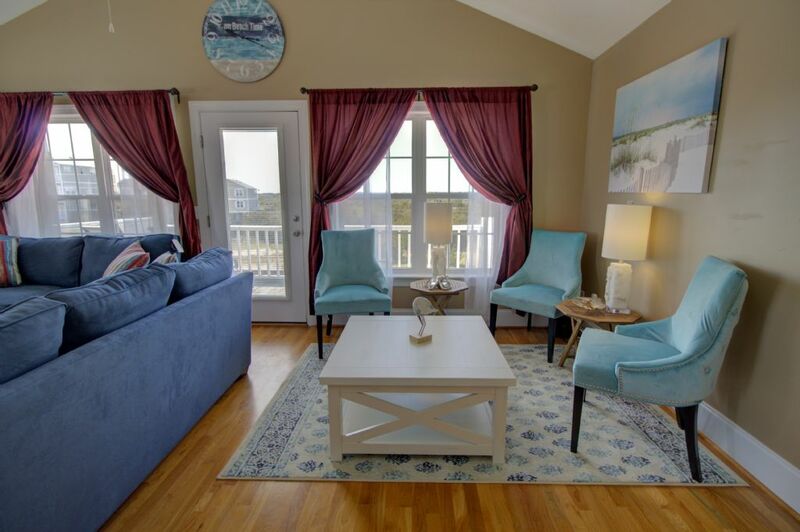 Walk into tranquil casual coastal style thats boasts relaxation. 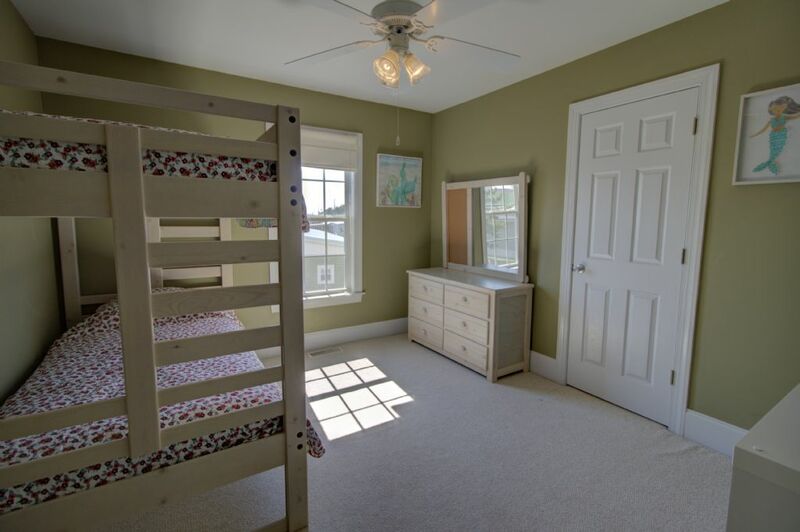 This home sleeps up to 8 comfortably. 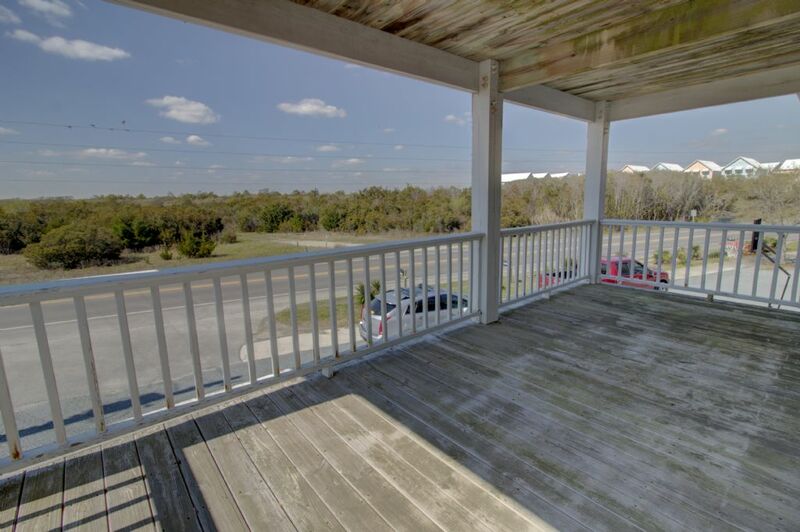 Entered from the covered parking underneath to the bedroom level. 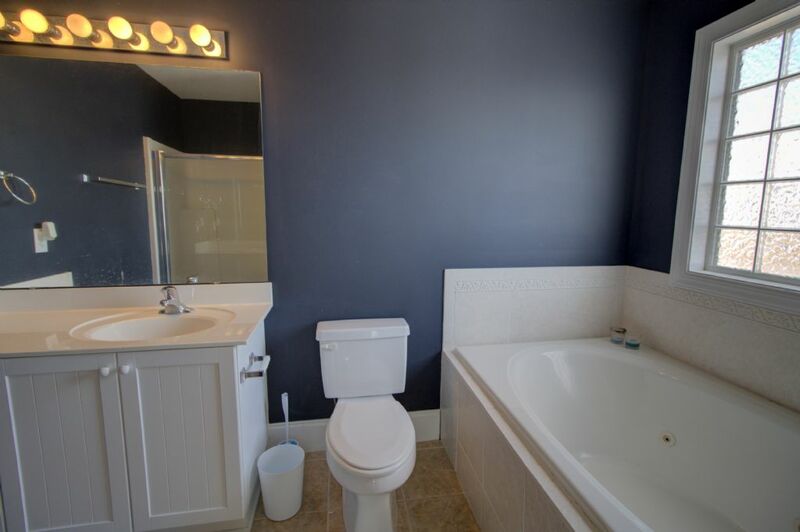 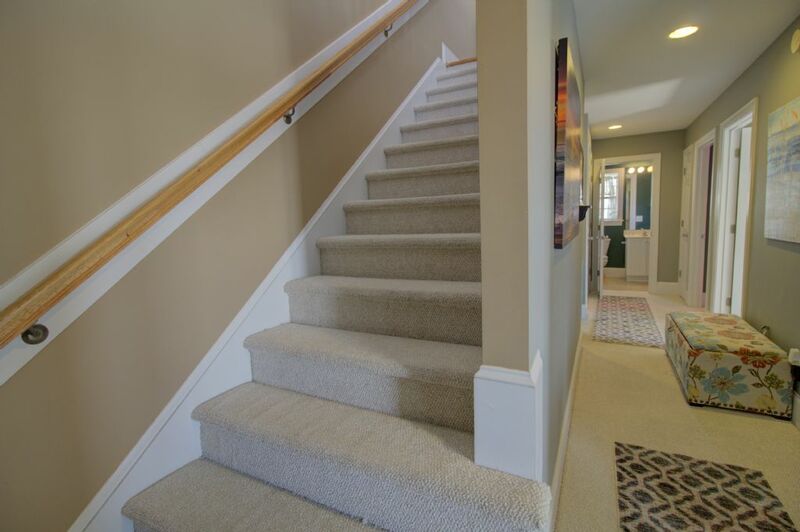 At the top of the stairs you will also find the conveniently located laundry area with full size washer and dryer. 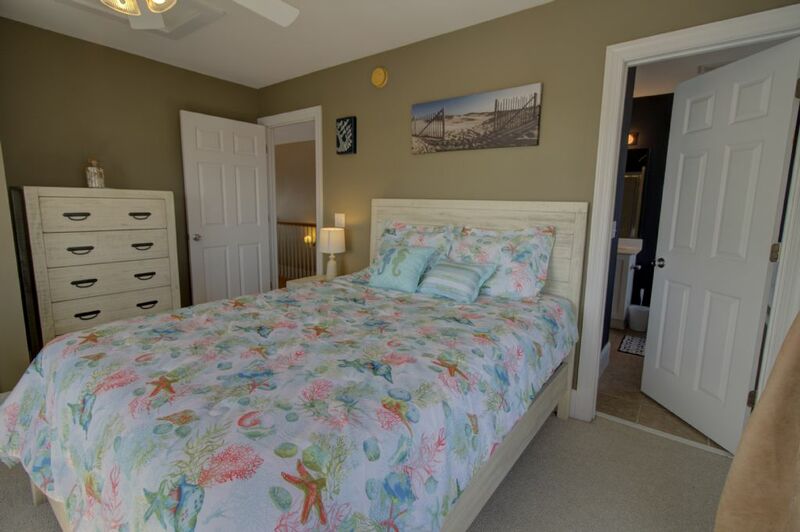 Bedroom 1 is towards the oceans and features a double bed. 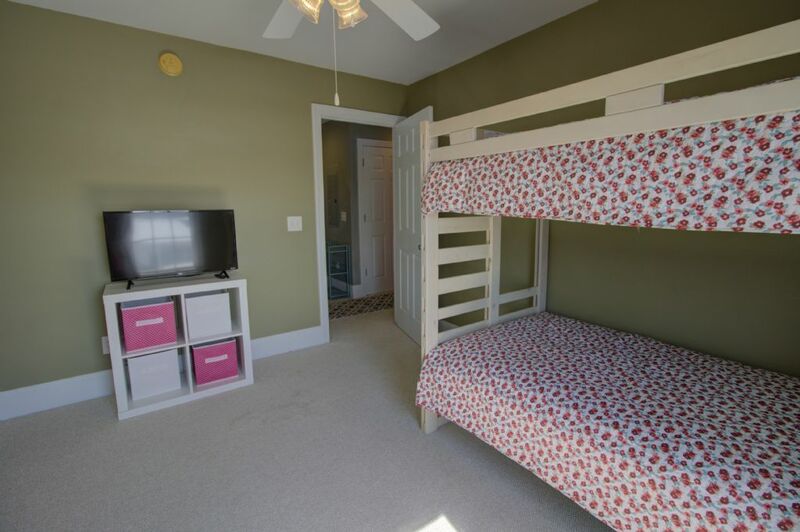 Bedroom 2 is located just up the hallway with twin bunk beds. 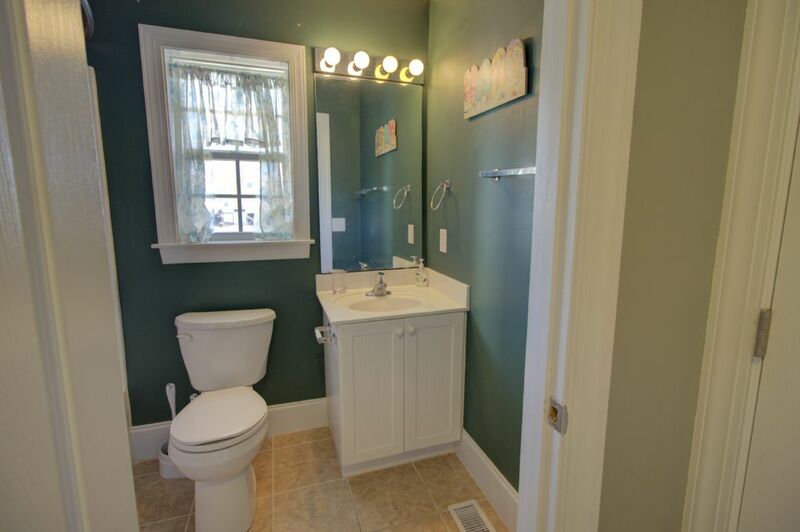 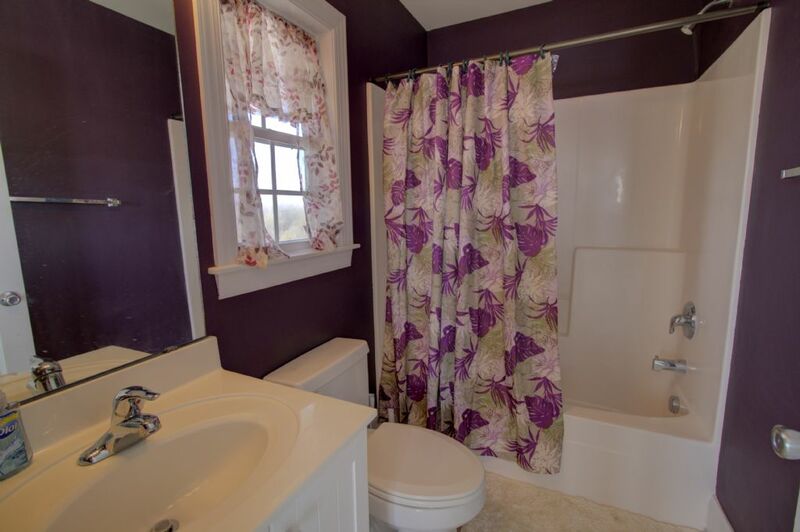 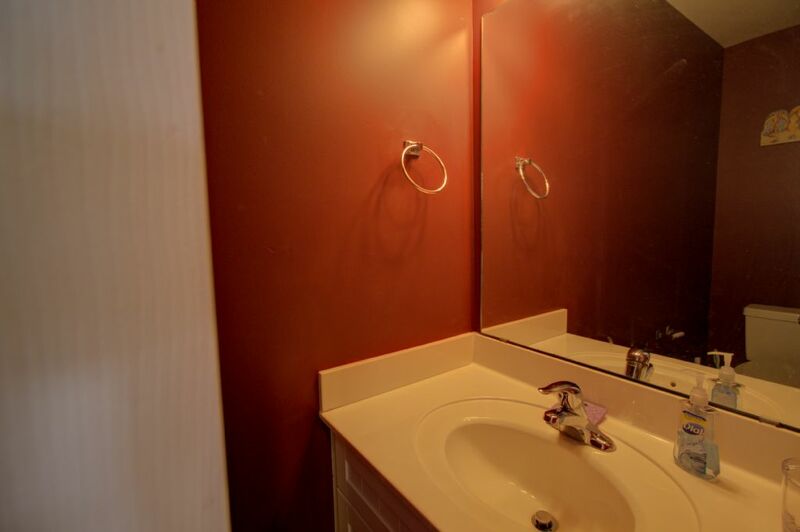 A full shared bathroom is nestled in the hallway. 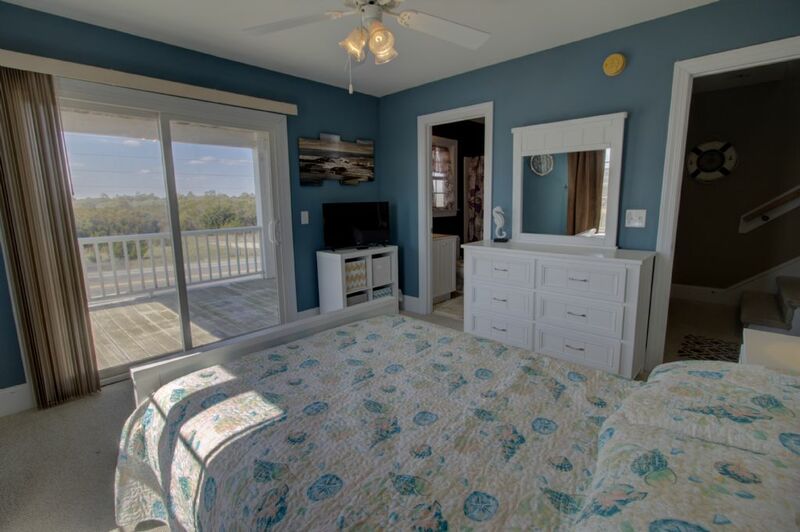 At the end of the hallway is Bedroom 3 with a double bed, private en suite bathroom and accees to a sound view deck. 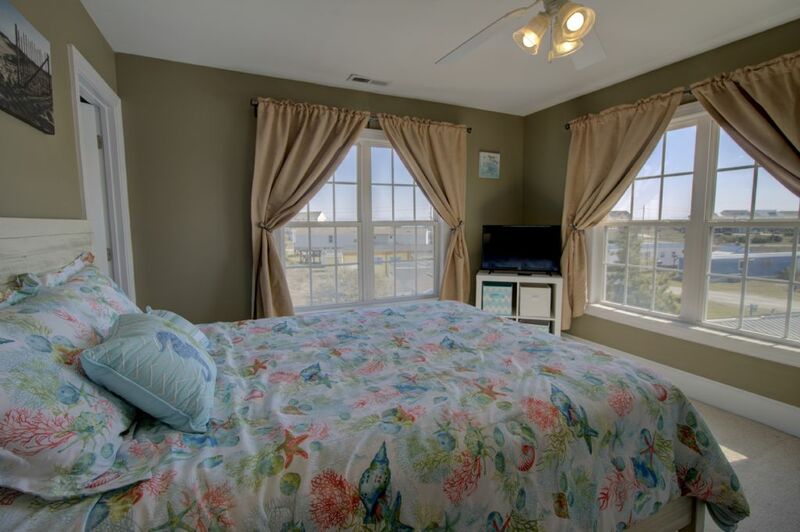 All bedrooms have flat Roku enabled flat screen TVs. 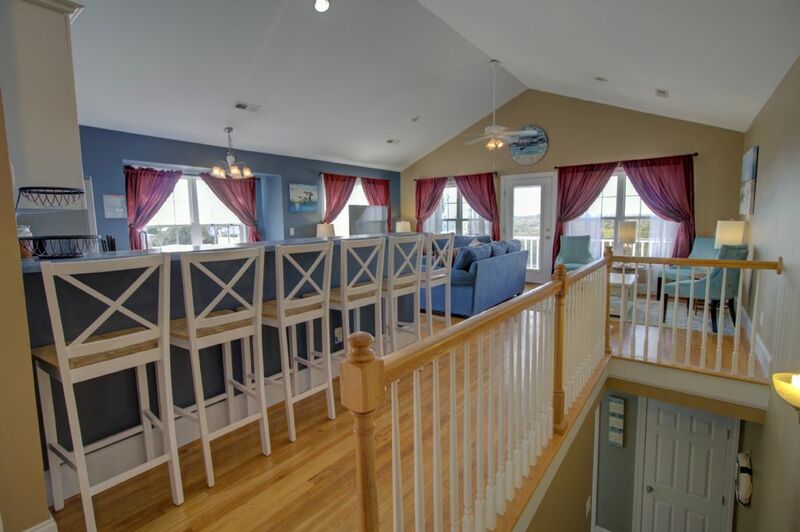 The top floor features the main living area which is the perfect spot for gathering the family after a long day on the beach. 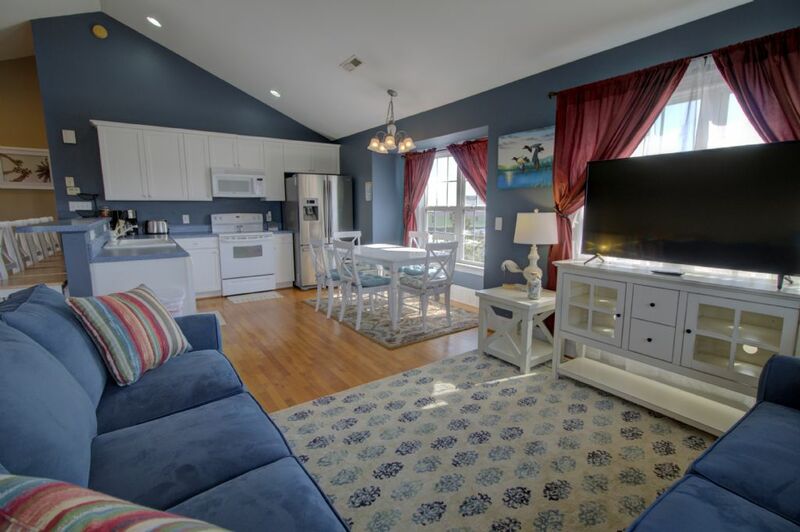 The family area has ample seating, flat screen TV with Roku and also an additional sitting area for grabbing the latest best seller. 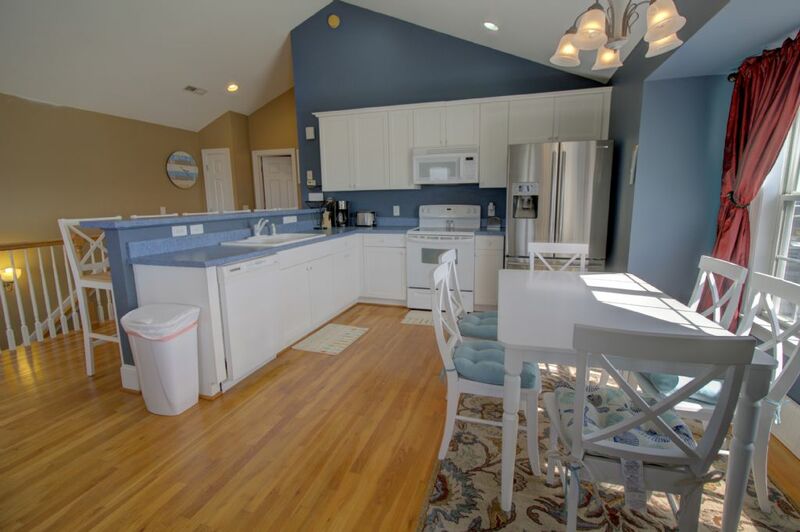 Sit at the bar in one of the 6 barstools and keep the cook of the family company in the fully stocked kitchen. 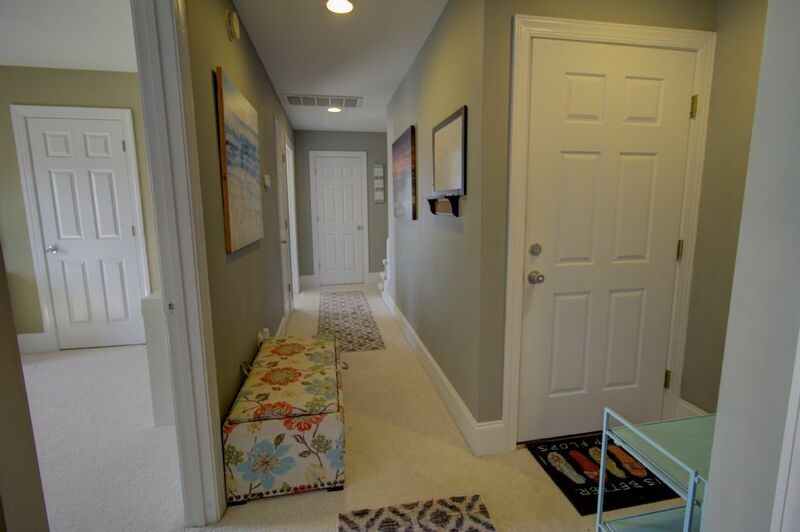 The causal dining area also seats 6. 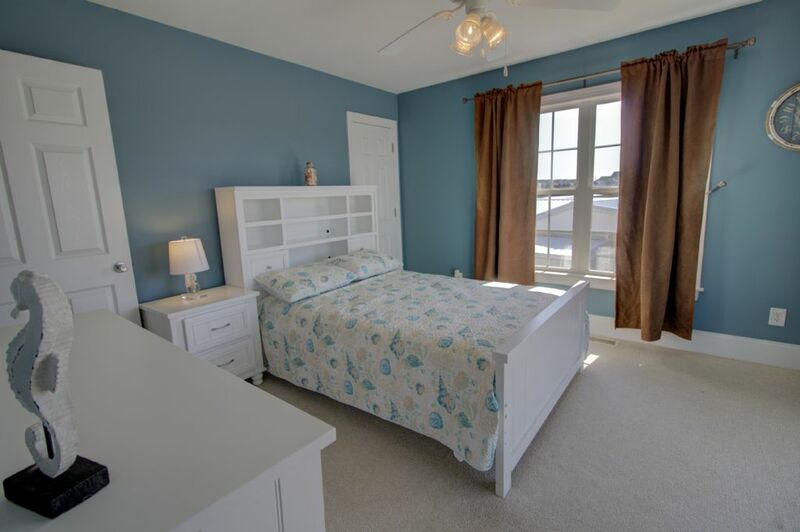 The master bedroom is located just beyond the kitchen. 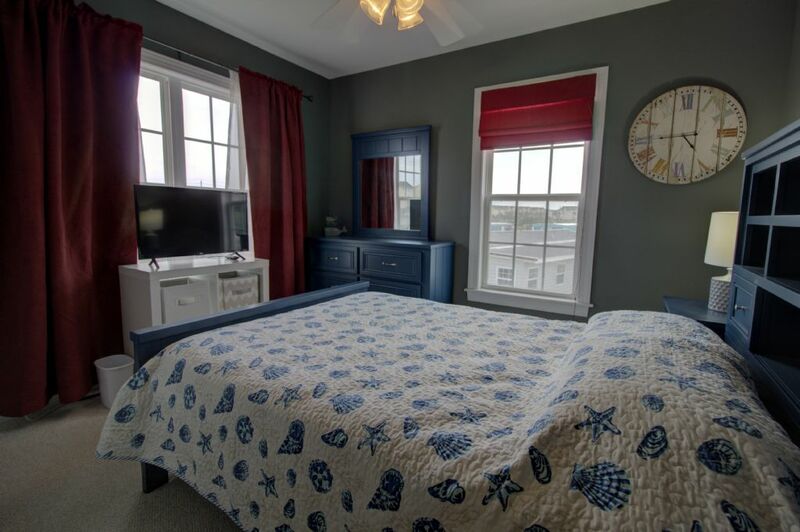 Nestle in the Queen bed and gaze out at the ocean viewin the distnace, the master also has a private en suite bathroom. 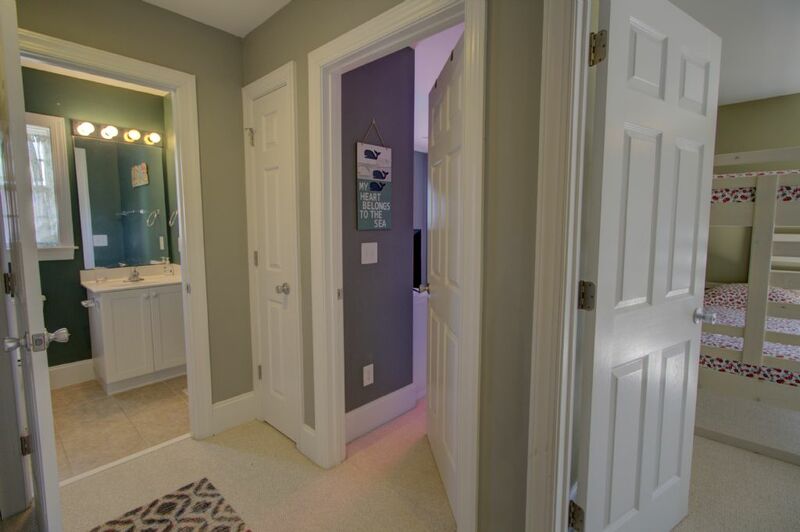 The Master also has a Roku enabled flat screen TV. 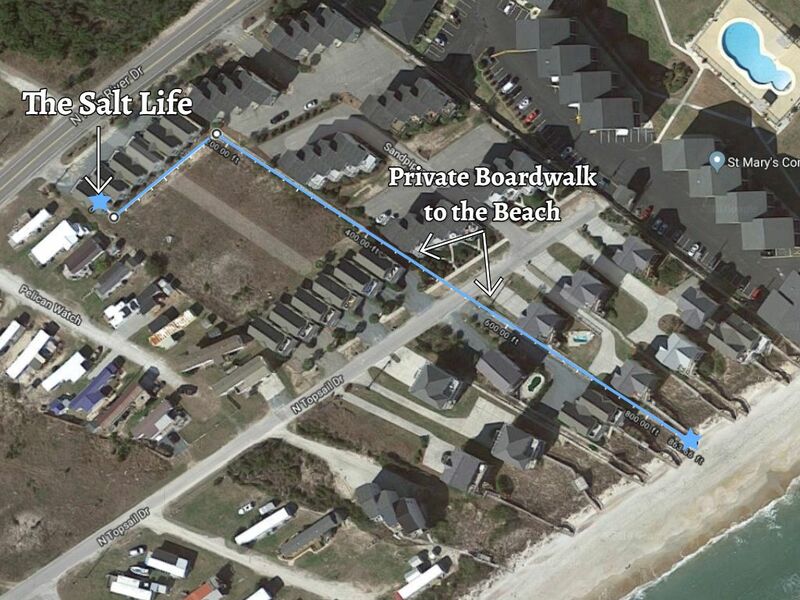 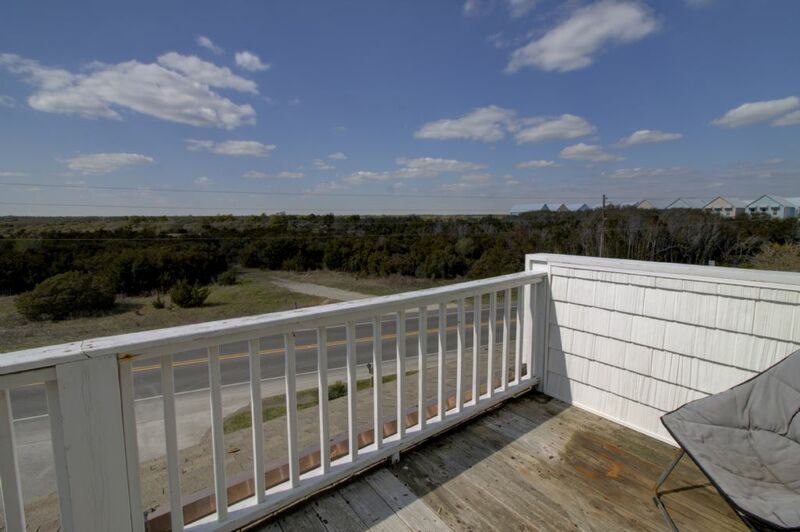 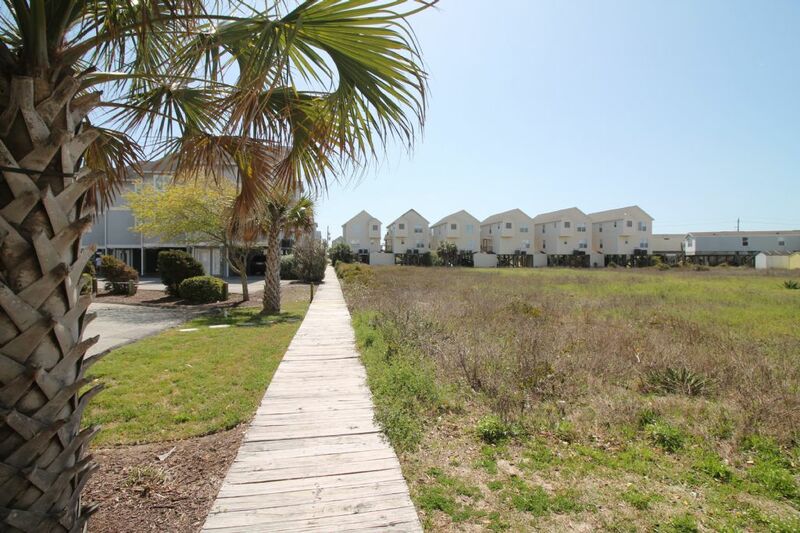 The private boardwalk that leads to the beach is a short 3-5 minute stroll away. 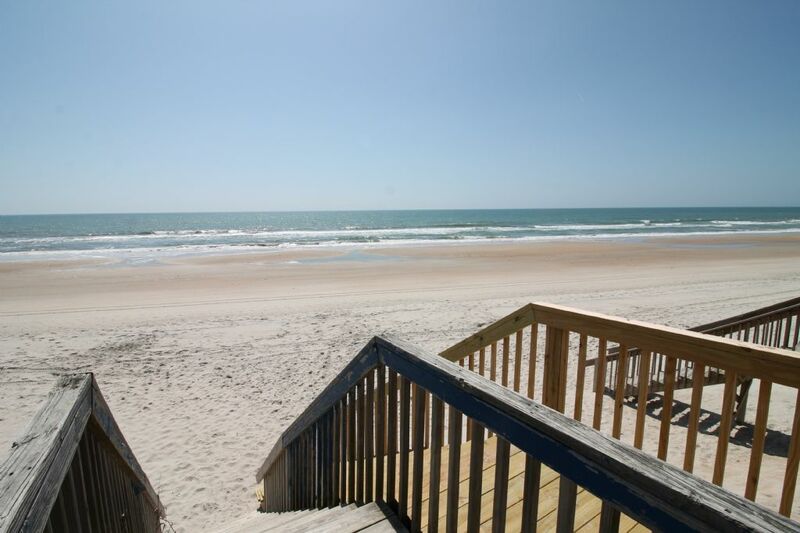 Or take a bike ride to Surf City for snowballs, hot dogs and tacos! 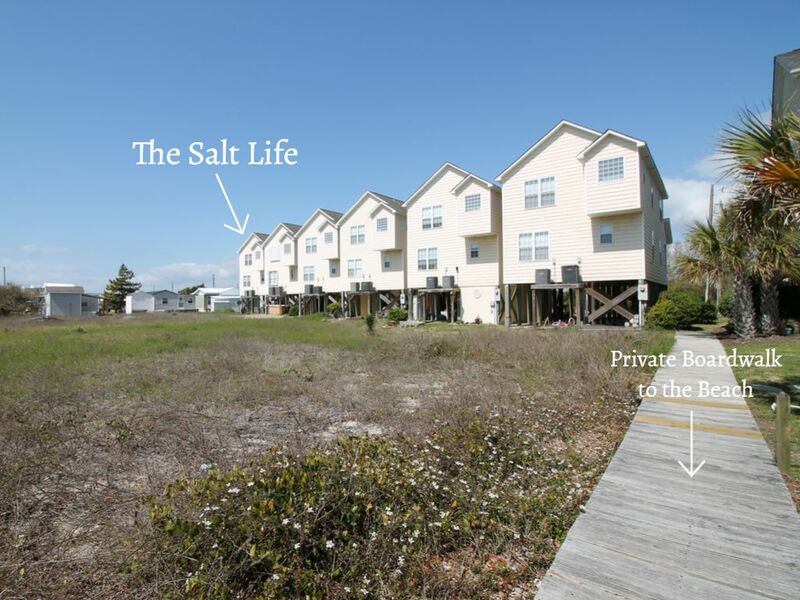 The Salt Life will easily become your next beach home away from your home.